Women’s national team soccer Libya will most likely fail to participate in Discover Football tournament in Germany which starts on Saturday (07/20/2013). This event will bring together women’s soccer team from Egypt, Jordan, Lebanon, Palestine, Tunisia, and Germany. The German government funded the tournament is to be a meeting of Middle East women’s soccer players since 2011. However, the Libyan Football Federation, the reason the tournament was held in the middle of the month of Ramadan, stating that the country’s women’s team can not go to Germany. “The federation said we could not go to Germany because he was fasting. We’d love to go, but the federation banned, “said midfielder Hadhoum el-Alabed. El-Alabed (37), which is the most senior player in the squad Libya and have studied in Liverpool, said the ban was a matter of destroying the dream of social change after the fall of Moammar Khadaffy. Earlier, the Libyan Football Federation has given the green light for her team compete in Germany. However, they later changed their minds. “We are currently in Ramadan. We are not opposed to women’s soccer, “said Secretary General of the Libyan Football Federation Nasser Ahmad. Difficulties for women Libya football team is like no end. Before prohibited competed, they also received threats from radical Islamic groups. This threat makes El-Alabed et al had to practice in secret, always on the move, and not infrequently they have to practice under the protection of the army. In June, the group Ansar al-Sharia, which is related to the murder of the U.S. ambassador in Benghazi, issued a fatwa condemning women’s soccer. “It’s (women’s soccer) is a matter that we can not accept because it is not in accordance with Islamic law,” the group said. 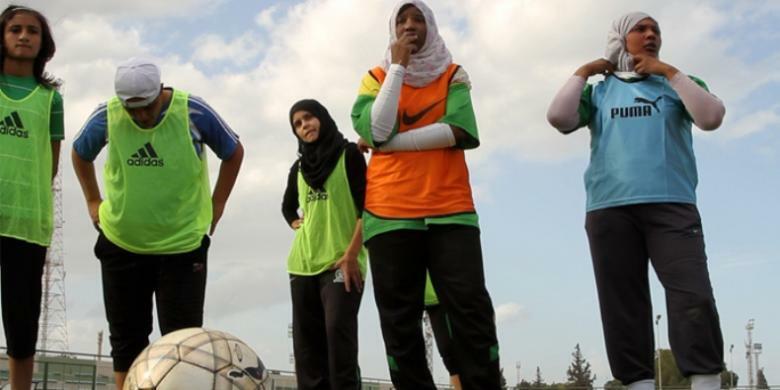 “Football makes women should be open most of his body and wearing a dress that is unacceptable,” added Ansar al-Sharia. A leading cleric Libya, Salim Jabar, even urged that country women’s soccer team was dissolved. “This team is made up of tall beautiful women and it’s not necessary this country,” said Jabar. “Since the first day they join the team, they’ve sold themselves and give a sense of shame to their families,” he added. In the reign of Khadaffy, women were allowed to play football masiih although in a limited format. They only play indoors away from public sight. This prohibition also regrettable coach Emmad El-Fadeih. He said all the players have to follow the rules by wearing gym clothes and no socks and covered shorts. “They also wear the hijab,” said El-Fadeih. Although Libya is almost certainly not going to go to Germany, the committee said that the place for Libya remains open. “We’ve heard what happened. We will wait for further developments, “said a spokesman for Discover Football, Johanna Kosters.